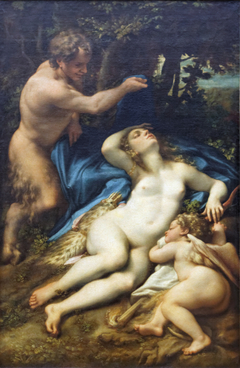 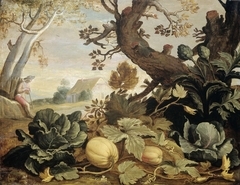 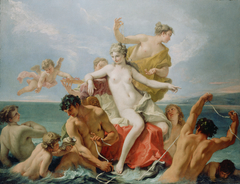 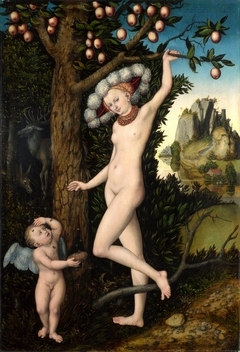 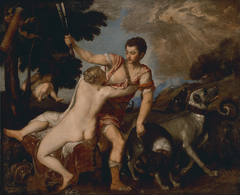 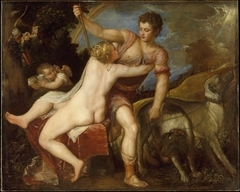 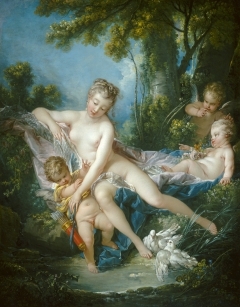 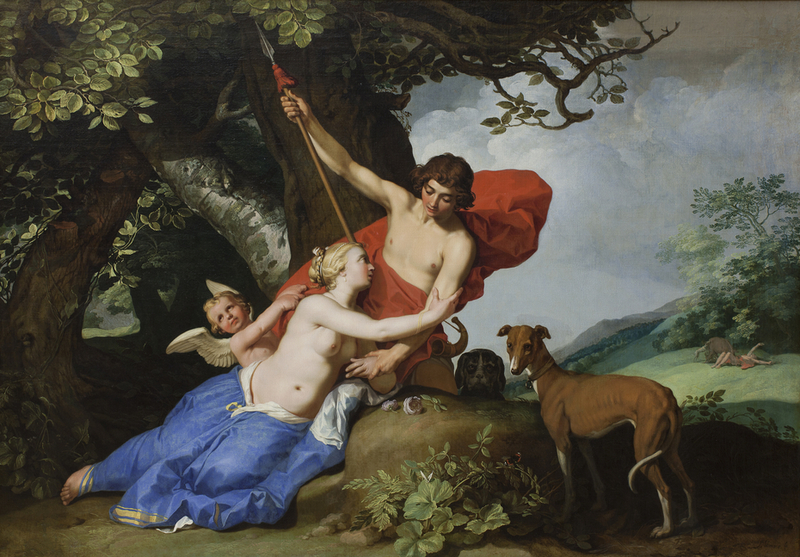 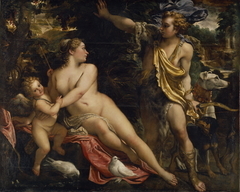 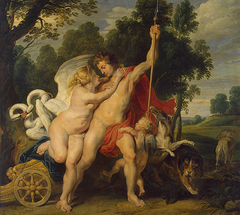 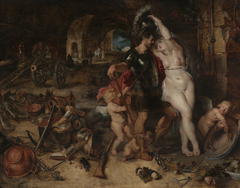 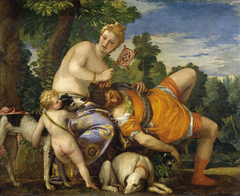 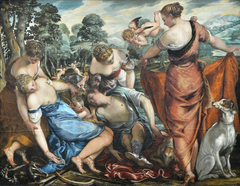 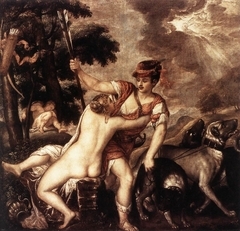 Venus, the goddess of love, is seen trying to prevent her lover Adonis from going hunting. 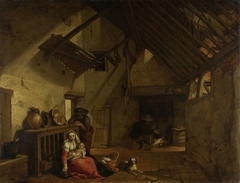 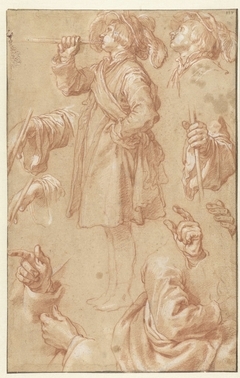 In the foreground, representing the here and now, she is seen begging him. 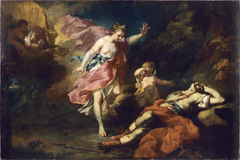 In the background you have a later scene and we see Adonis' death.